Motorola's just announced a big event for August 2 at its HQ in Chicago. We're expecting the Moto Z3 to be unveiled there, alongside the already leaked Motorola One Power. There might, however, be a third device joining them. This is said to be smaller than the One Power, though it's not clear whether that means it has a smaller screen or is just more compact. From the front, the two certainly look alike, screen notch and all (though the chin on the One Power does seem smaller). The back is where the One clearly diverges from the One Power, as you can see from the comparison shot below. The Motorola One sports a glass rear, while the One Power is metal. The dual rear camera design is different too, and the One seems to employ a dual-tone LED flash - compared to the One Power's single LED. The One will launch in black and white, with other hues possibly joining those. 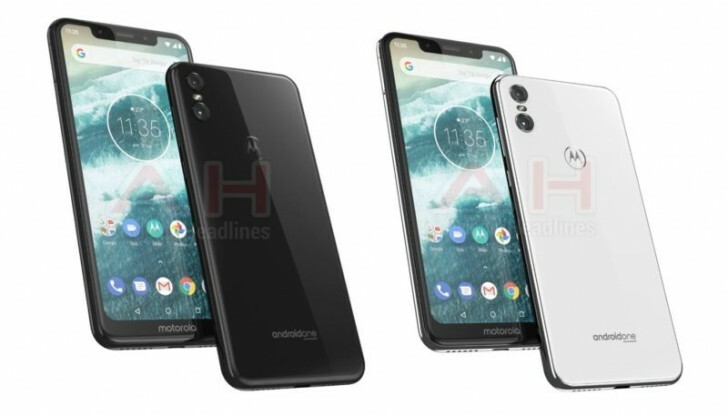 What's pretty much certain at this point is that Motorola is working on a new line of smartphones, and the One branding is widely speculated to imply that both of these will be Android One devices, with a clean Google-esque software experience and prompt updates. 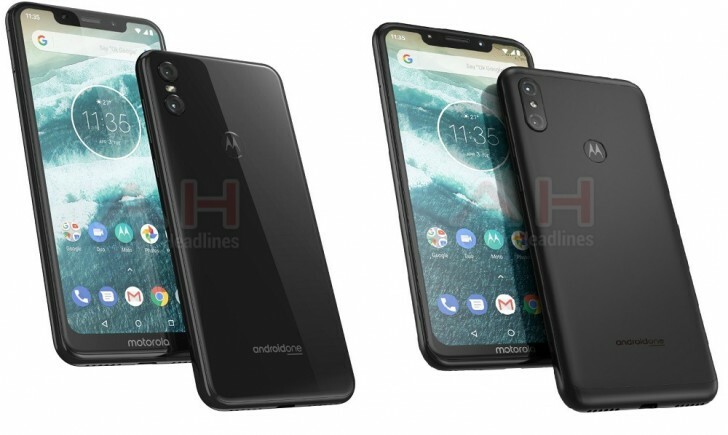 The Motorola One Power could come with a 3,780 mAh battery, as per past rumors, and that capacity is probably what's alluded at by the Power branding. On the other hand, the Motorola One might go with a smaller cell and thus be slimmer.